But it can't be from Dolly Clackett. She gave me an Easter egg! : The next thing you know you're one of those blokes you read about in the paper, squatting naked on a traffic island, chewing daffodils. The next thing you know you're one of those blokes you read about in the paper, squatting naked on a traffic island, chewing daffodils. 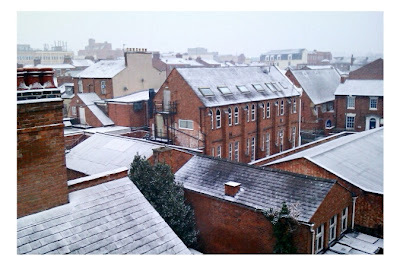 Evening all - probably a snowy evening, depending on where you are. Right now, I'm curled up on the sofa, wearing many layers and legwarmers, with a hot water bottle and three blankets. It's cold in our little flat! It's been a turbulent week for me at work, with lots of stress, and I've been really emotional. Hence the radio silence, blogwise. Things picked up a bit at the end of the week, but I can't remember the last time I needed a weekend as much as I needed this one. I plan to have a very relaxing, fun-filled weekend! I'd had a good and restful weekend last weekend, which I think is what got me through at least the first part of the week. On Sunday morning I finished the last of the Hunger Games trilogy, Mockingjay, in bed. I suspect by the very end of the third book fatigue had set in, but all in all I really loved those books. There are some issues with the pacing, especially in the third book, but Suzanne Collins really knows how to keep you hooked. More pressingly, I think Katniss Everdeen is a thoroughly intriguing character and I love the world that Collins has created in Panem. I had thought that I wouldn't be interested in seeing the movie, but curiosity led me to watching it and I am now really excited about the movie, especially seeing as Donald Sutherland is in it. I bloody LOVE a bit of Sutherland, so that's good news for me. After a thoroughly lazy morning and early afternoon, Nic and I headed out to meet a good friend for coffee and a chat. I love this dress so much, you guys. It's funny because when I first tried one on last year (in the shops) I wasn't feeling it, and now I can't imagine why. I don't think it photographs brilliantly well but this is one of those dresses that I just feel fabulous in. God bless TK Maxx! I'm now on the lookout for this one in blue at a good price. It's the collector in me, what can I say?! And the rest of the week was quite a washout, to be totally honest. Too cold to do anything, and stressful at work. Luckily for me I have a couple of good friends at work, and more than a couple of excellent friends outside of work to get me through it, and I'm feeling thoroughly back to myself now. Watching lots of Absolutely Fabulous and drinking endless cups of tea while cuddling Nic helped a lot, as well. Nic had never watched Ab Fab, but it's been a favourite of mine for many years and maybe it was my mini beehive last weekend, but I suddenly felt the need to add it to our LoveFilm list. It's hard to feel sad when you're watching Absolutely Fabulous. YES. 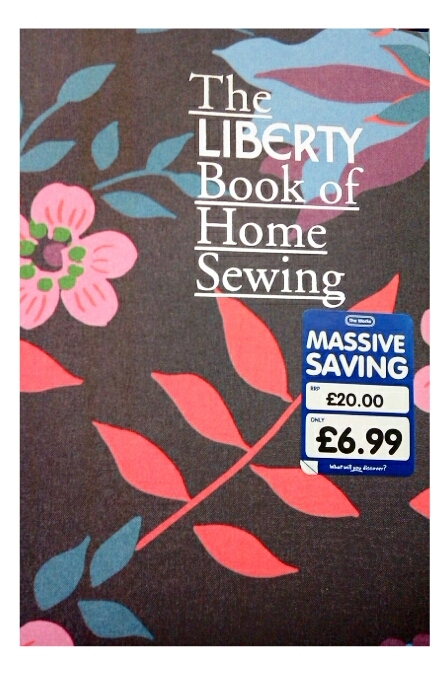 Now, fellow sewists, don't clutch your pearls too much here but Liberty isn't really my thing. I really like a lot of the fabrics, just not the price! That said, this book is beautiful and there are definitely a few projects I'll have a go at, and at that price I really couldn't turn my nose up at it. Happiness! Emily and Fin Lucy dress, cardigan from Marks & Spencer, beret and shoes from Topshop and tights from Dorothy Perkins. Obviously I was also wearing a coat, scarf and gloves today! Yeah, another Lucy dress. I like them, they're easy to wear and comfortable. And really, what's not to love about polka dots. I think pairing the red tights with red shoes was less successful than pink tights with pink shoes, but it kept my feet warm and these shoes are comfortable. The beginnings of the snow this afternoon in Leamington - it's much heavier now! Nic and I are off out this evening, and have a fun Sunday lined up too... I'll be back sooner, this time! Have a lovely weekend, whatever you're doing, and stay warm.